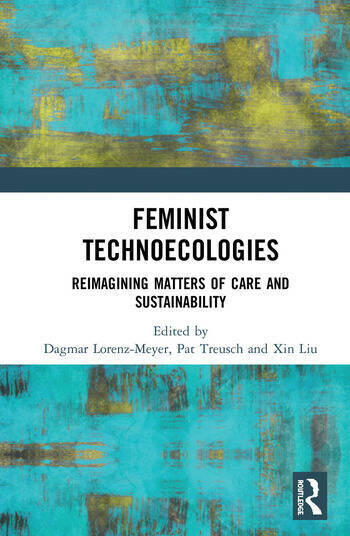 This book develops the concept of feminist technoecologies as a theoretical and methodological tool for examining the co-constitutive relation between technology and ecology, which have typically been considered as distinct objects of studies. In underscoring how their dynamic relationality troubles the location of agency, this book challenges the idea that technology, as the marker of the innovative capacity of the human, either corrupts or saves ecology. The contributions to the volume present feminist approaches that contextualise and historicize such issues as multi-species survival, border control regimes, solar power, bioart, artificial intelligence and air pollution. They insist on the centrality of corporeality, affects, ethics and vulnerability in the materialisation of technoecological relations, and call into question the exceptional status of the figure of (hu)Man. Together they offer critical and creative tools or modes of inquiry for imagining alternative modalities of practicing care and thinking environmental sustainability. As a creative contribution to the growing literature on new configurations of bodies, technologies and environments against the backdrop of ecological degradation, digital technologization, and precarity in late capitalism, Feminist Technoecologies extends the interchanges between feminist materialisms, environmental humanities and feminist technosciences studies, and will be a resource for all those interested in these fields. This book was originally published as a special issue of Australian Feminist Studies. Dagmar Lorenz-Meyer is a Senior Researcher at the Department of Gender Studies at Charles University, Prague, Czech Republic. Pat Treusch is a Postdoctoral Researcher in the interdisciplinary graduate programme ‘Digitalization: Design and Transformation’ at the Technische Universität Berlin, Germany. Xin Liu is a Postdoctoral Researcher in the Swedish School of Social Sciences at the University of Helsinki, Finland.